Brittney Menges (right), of Rockford, rubs her brother Ethan Menges' sore neck during a visit to Select Specialty Hospital in Madison, Wis. on Sunday, May 24, 2015. 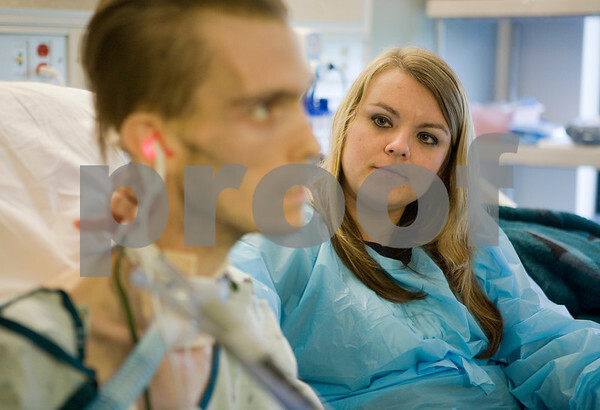 Ethan, 23, of Genoa, collapsed suddenly on Jan. 22 and has been fighting for his life ever since. His current focus is to get strong enough for a lung surgery that could save his life.